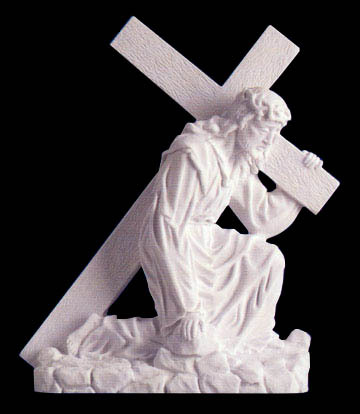 Our master craftsmen have years of experience in creating fine marble sculptures. Shown below are some of our designs, as well as pictures of original artworks from Europe. We can create reproductions of these original artworks according to your specific requirements. Browse through beautiful interpretations of The Sacred Heart of Jesus, the Virgin Mary, Lady Madonna and Child, Saint Joseph, and The Holy Family. We also exhibit many renditions of saints and venerable figures, including the apostles. Click on the photo to see a larger image.